1825 x LIECHTENSTEIN - extensive lot packed in a carton, much material including numerous postal valid issues, many mint never hinged values, complete sets, an extensive part miniature sheet and so on. Enormously acquisition price! 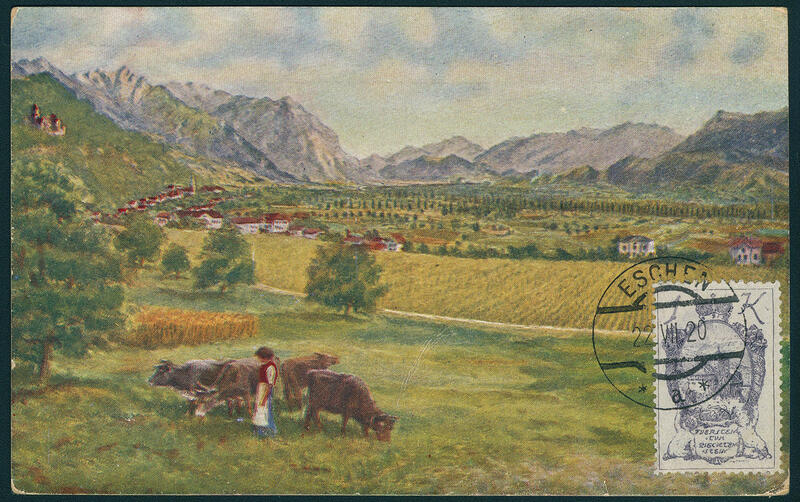 1888 Al✉en LIECHTENSTEIN - 1912 / 2009, two as good as new lighthouse hingeless printed form albums complete. Original price approximate 350,- €. 1889 Al✉en LIECHTENSTEIN - 1970 / 2008, two lighthouse hingeless printed form albums complete. Also a few stamp issues are contained. Original price approximate 200,- €. 1916 ✉ LIECHTENSTEIN / postal stationery - 1918 / 92, very nice and extensive special collection of the postal stationeries in two ring binder accommodated with in total 196 copies. As well alone 115 pieces from the years 1918 / 58. As well numerous popular issues, many nice picture post postal stationery and so on. A magnificent object, like it in this richness can rarely be offered! 2014 ✉ 01. 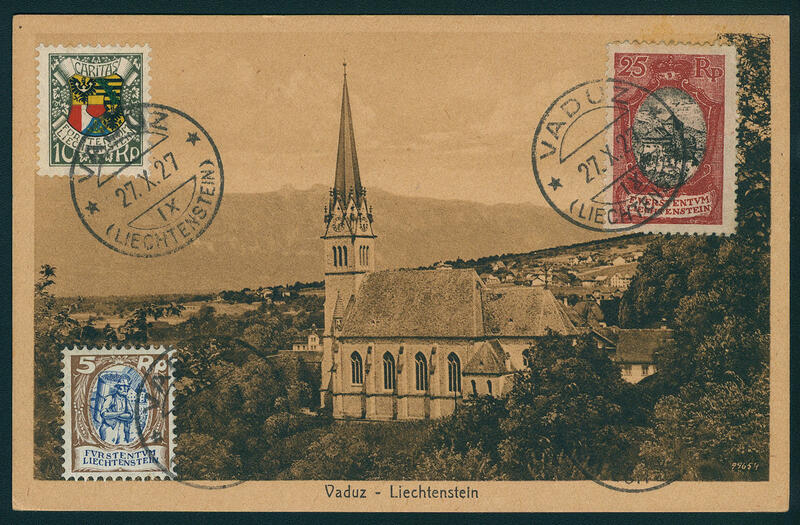 Mrz LIECHTENSTEIN - 1912 / 60, nice collection from covers and cards in the ring binder. Many attractive documents, with alone five sets the Michel no. 1 / 3, further interesting older documents including registered / special delivery, airmail and so on. A magnificent object! 2022 ⊙ 140/42 LIECHTENSTEIN - 1912 / 88, very nice used collection, in the number of a major listing complete with all good issues in two hingeless printed form ring binder. 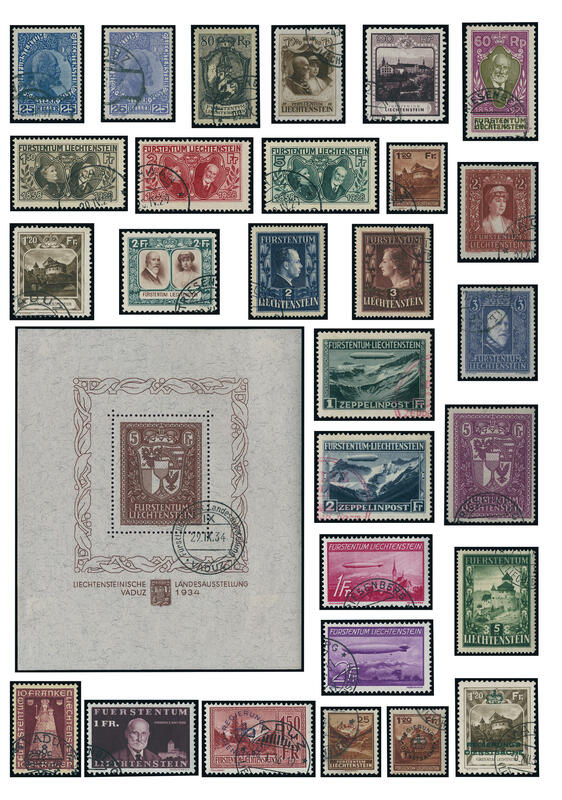 With also landscapes 1921, Rhine need 1928, throne ascent 1928, accession to power 1929, postal stamps 1930, airmail 1930, Zeppelin series 1931, landscapes 1931, the scarce Vaduz souvenir sheet 1934 with appropriate special cancel, the good postage stamps set 1933 (Michel no. 140 / 42), Zeppelin series 1936 and all further issues including forties and fifties. With also Michel no. 304 / 05 in both perforations available, also all service- and postage due stamps are available. A very nice and Cultivated object, in this completeness rare offered! 2023 LIECHTENSTEIN - 1945 / 87, very nice mint never hinged collection, nearly complete in two safe hingeless printed form ring binder. With also many good issues from the forties and fifties including Holy Luzius 1946, paintings set 1949, postal stamps 1951, 5 Fr. 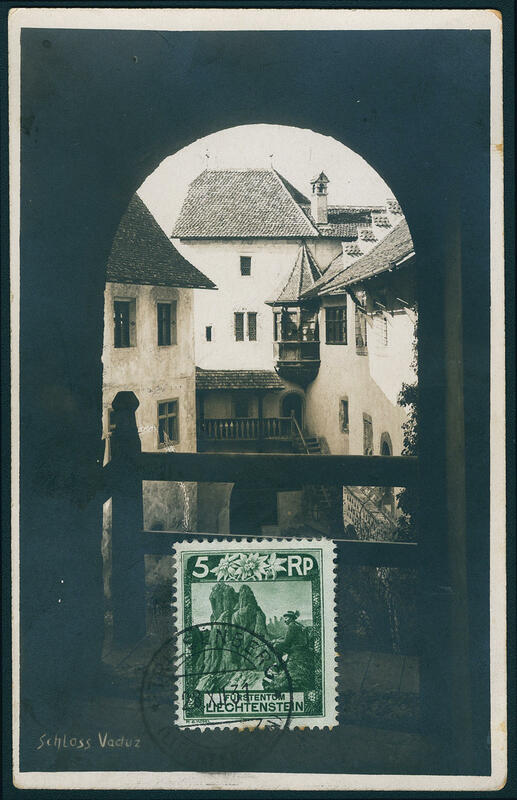 Castle Vaduz 1952, paintings set 1951 / 55, State Museum 1953, Prince and Princess 1955, Europe 1960, as well numerous further issues, complete years and so on. A wonderful quality object! 2046 LIECHTENSTEIN - 1968 / 90, nice mint never hinged collection, except for the official stamps complete in the Lindner T hingeless printed form ring binder. Michel approximate 750,- €and original price of the album approximate 130,- €. 2066 /⊙ LIECHTENSTEIN - extensive inventory in three large stock books accommodated with lots of material. As well numerous mint never hinged blocks of four from the corner with many complete sets, miniature sheet, souvenir sheets and so on. Huge catalogue value! 2199 LIECHTENSTEIN / nominal - nice and assorted lot of post valid mint never hinged issues, with also nice motives and so on. The pure face value amounts exactly 1762,- Sfr. 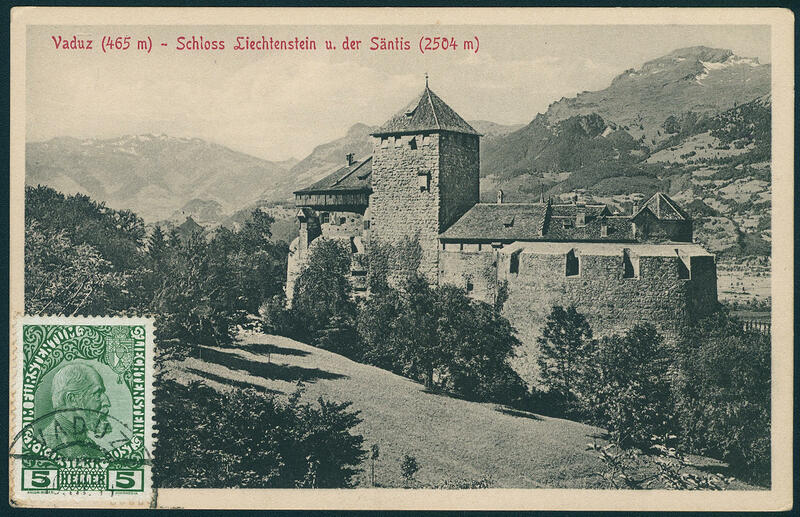 2306 x LIECHTENSTEIN - interesting and extensive inventory with numerous issues on stock cards, as well in approval books accommodated. With also better values and sets, older material, many special- and commemorative sets and so on. Enormous catalog value, favorable valued! 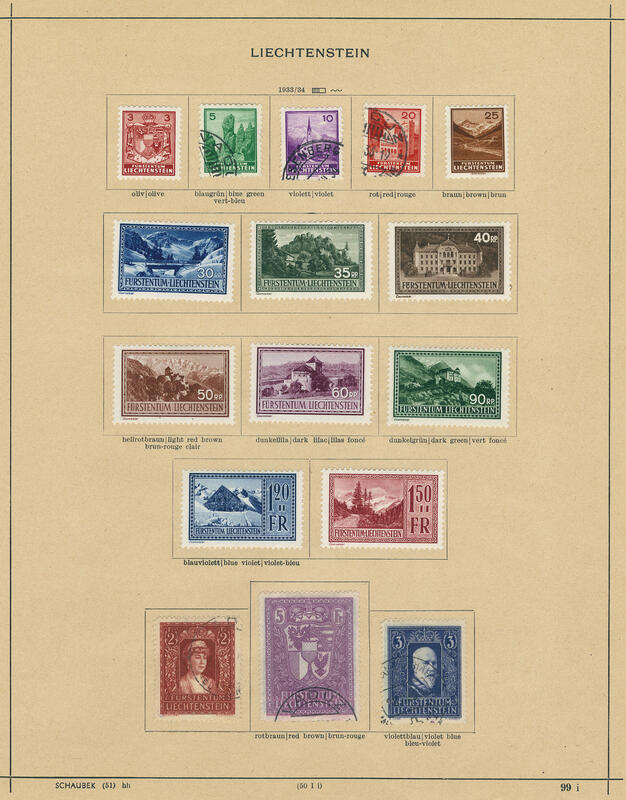 2364 LIECHTENSTEIN - extensive mint never hinged lot in a large stockbook, in stock created, as well numerous special- and commemorative sets, also pairs and blocks of four and so on. Enormously post price respectively catalogue value! 2422 ⊙/ / 119/21, 140/42 LIECHTENSTEIN - 1912 / 51, superb collection on Schaubek preprinted pages, nearly complete with numerous expensive issues. 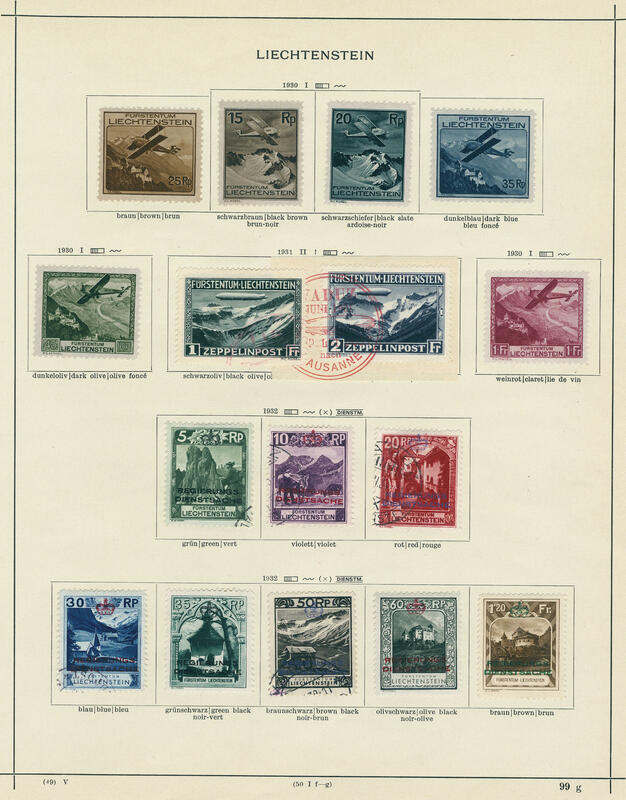 With also throne ascent 1928, landscapes and Prince and Princess 1930, Zeppelin series 1931, official stamps 1932, postal stamps 1933 (Michel no. 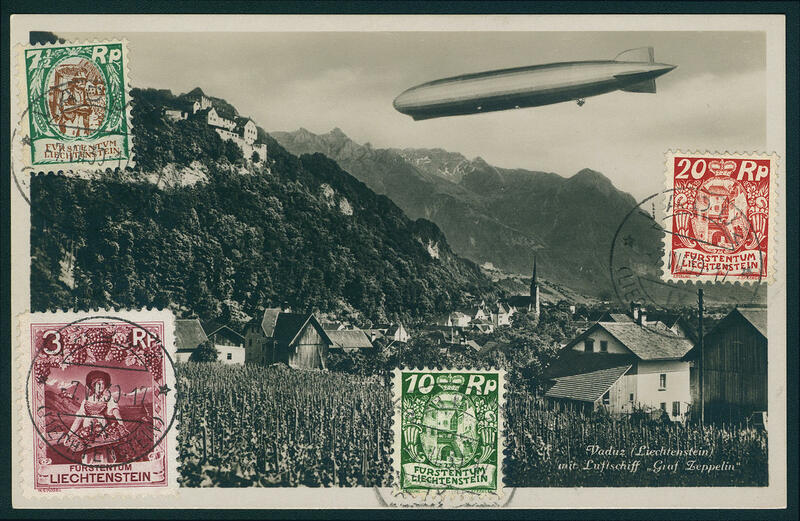 119 / 21, 140 / 42), Vaduz souvenir sheet 1934 with appropriate special cancel, Zeppelin series 1936, as well a very nice part forties with useful issues. A superb and Cultivated object with substance! 2449 /⊙ LIECHTENSTEIN - 1955 / 75, very nice and rich collection in three large spring back binders with an enormous amount of material, most issues are both mint never hinged as also used available, multiple still additional in centric cancellation blocks of four. As well numerous special- and commemorative sets, the Europe stamp 1960 twice mint never hinged and twice used, as well once again as centric cancellation block of four and so on. An extensive object with very high catalogue value! 2505 /⊙/ 01. Mrz LIECHTENSTEIN - 1912 / 99, extensive inventory in two large stock books and a ring binder accommodated. With numerous older issues including Michel no. 1/3 three times, many further older values, special- and commemorative issues, complete sets and so on. SBK approximate 10000,- Sfr. 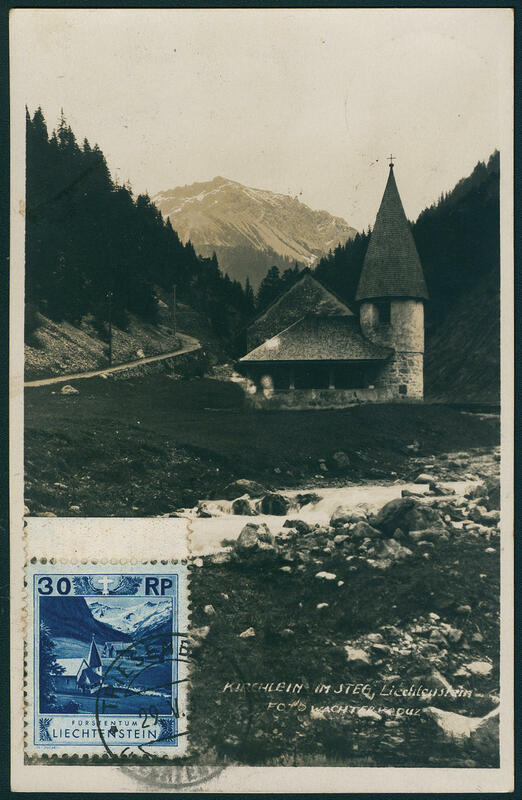 2506 /⊙ LIECHTENSTEIN - 1959 / 83, nice and extensive inventory from miniature sheet, very assorted in six albums (mostly ring binder) accommodated with numerous complete sets, special- and commemorative issues, beautiful subjects and so on, going through in outstanding condition. Michel approximate 10500,- €. 2556 /⊙/ /✉ LIECHTENSTEIN - 1917 / 86, very rich collection in 11 large, mostly thick ring binders clean made up with an enormous amount of material, numerous special- and commemorative sets, enormously many miniature sheet with a lot of mint never hinged material, beautiful First Day Cover, with also numerous blocks of four with special- and commemorative sets, high values pending 20 Franc in blocks of four and so on. An extensive object with enormous catalogue value! 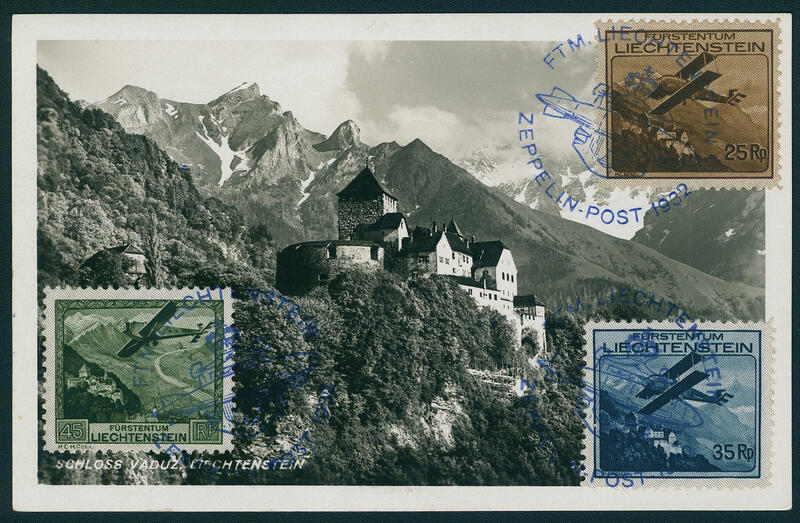 2557 ⊙/✉ LIECHTENSTEIN - very nice and rich collection decorative made up mounted on pages with inscription, packed in a carton. 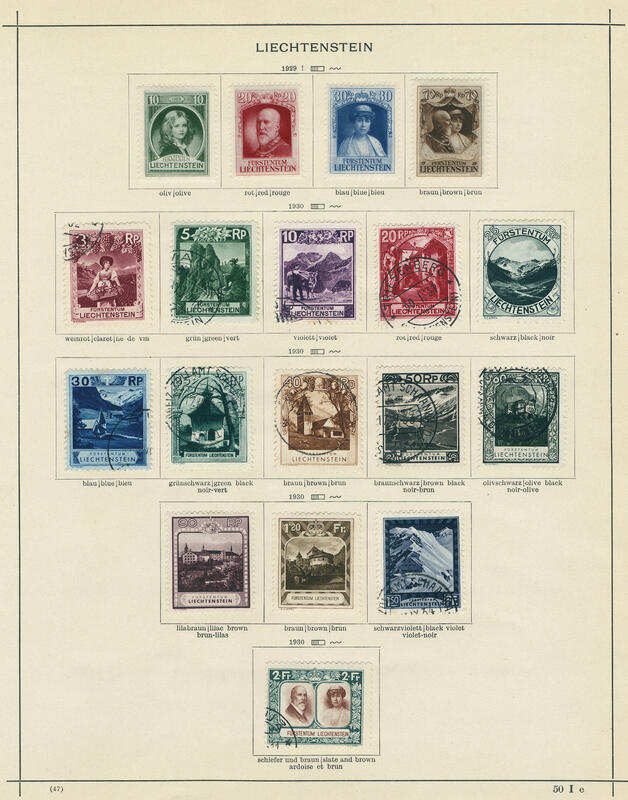 As well a delightful part thirties and forties with complete sets, beautiful covers, souvenir sheets also the following issues extensively present. A superb and Cultivated object! 2579 ⊙ LIECHTENSTEIN - 1945 / 83, very nice used collection, clean formed and except for very few values complete in the Borek hingeless printed form ring binder. 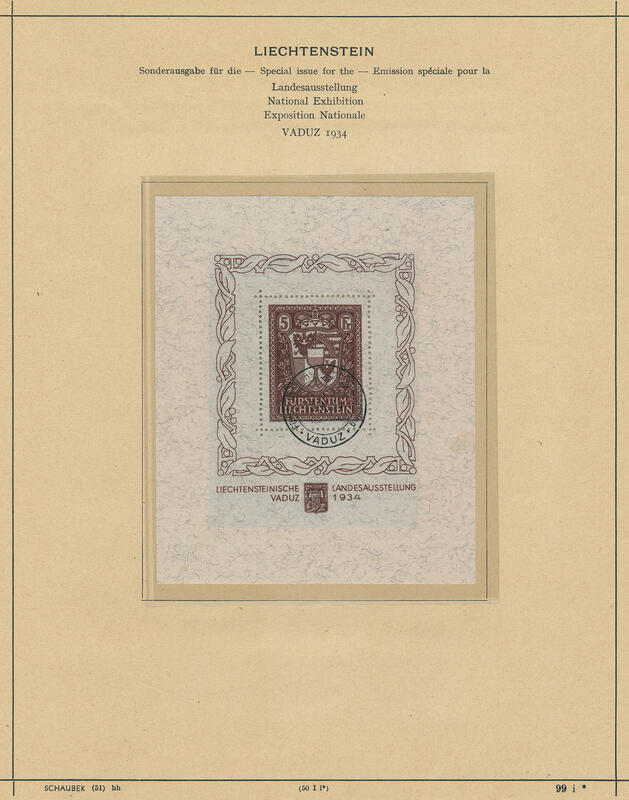 With also Vaduz souvenir sheet 1949 with special cancel, Prince and Princess 1951, 5 Fr. 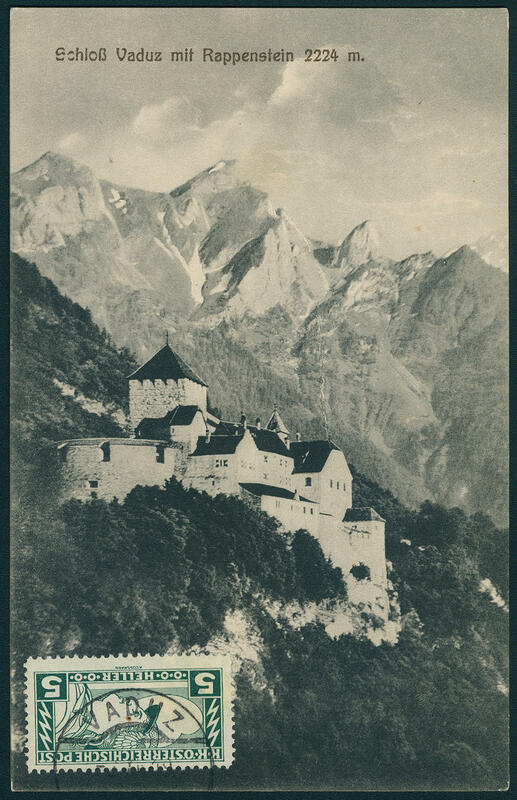 Castle from Vaduz 1952, as well numerous further better issues, complete years and so on. A maintained object! 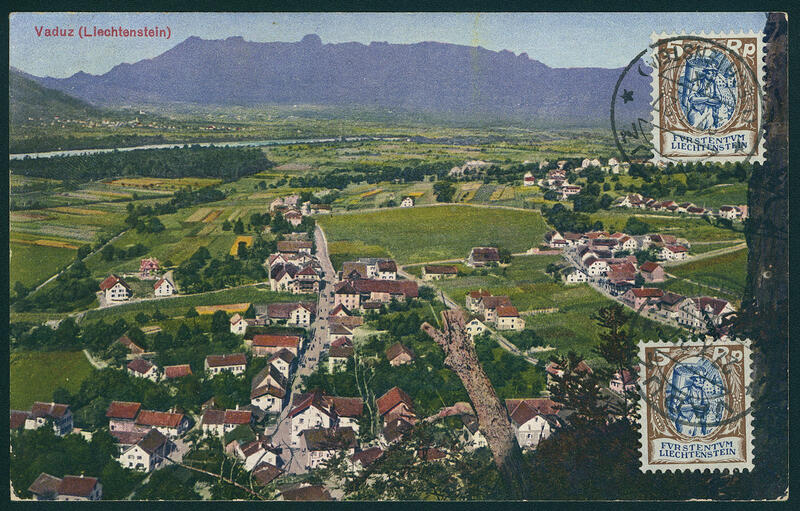 2580 ✉ LIECHTENSTEIN - very nice collection from on face stamped picture postcards in the ring binder, as well attractive examples with a number of older documents, including a forerunner, decorative picture postcards, one beautiful Zeppelin postcard from 1932 and so on. In this kind an all extraordinary collection!